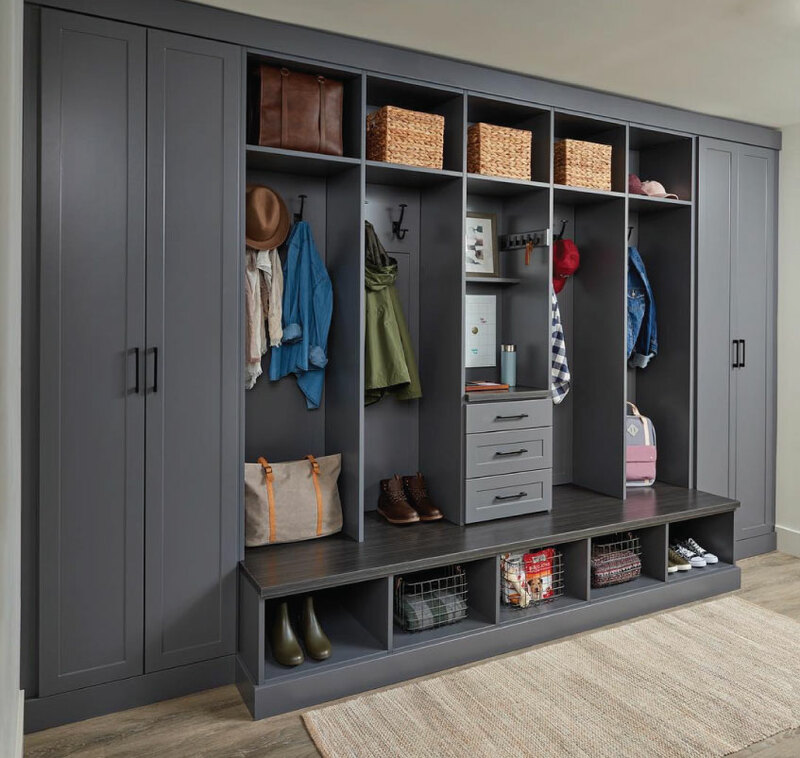 Just like an organized closet makes your morning easier, an organized entryway or mudroom can make your whole life easier. 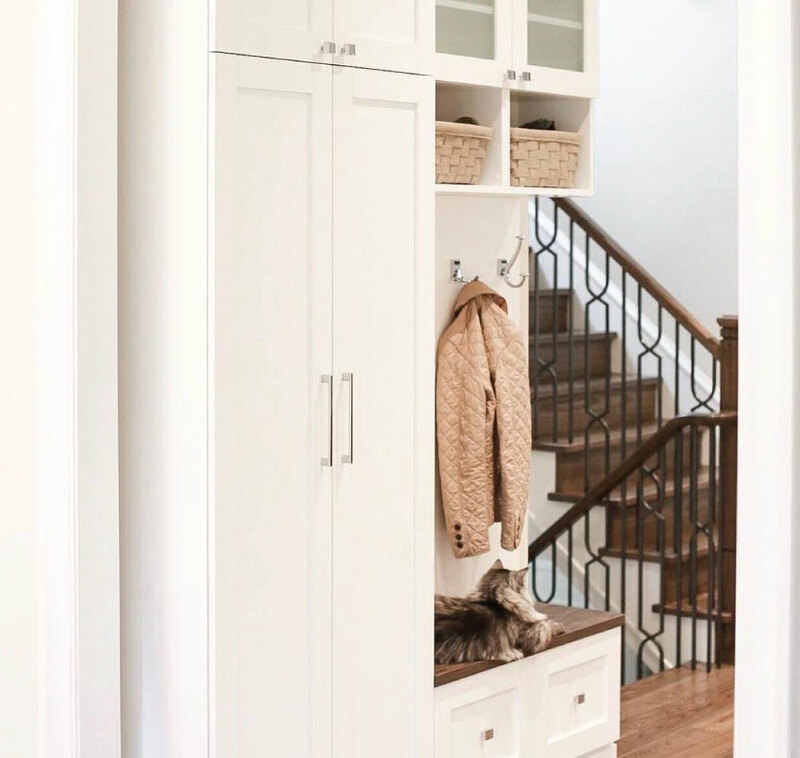 These spaces are home for daily must-have items like keys and coats best stored near the entry door – especially during that weekday morning rush! Entryways and mudrooms are also the first space that guests see so they’re also vitally important to create a good first impression. Keep reading for design and organization ideas, and whether the space you’re working with is small or large, you’ll find inspiration below. You don’t always need a traditional foyer or entryway to incorporate everyday storage space. An idle wall near an entryway can easily be transformed into a landing zone for coats, shoes, and accessories. The image to the left showcases just that. 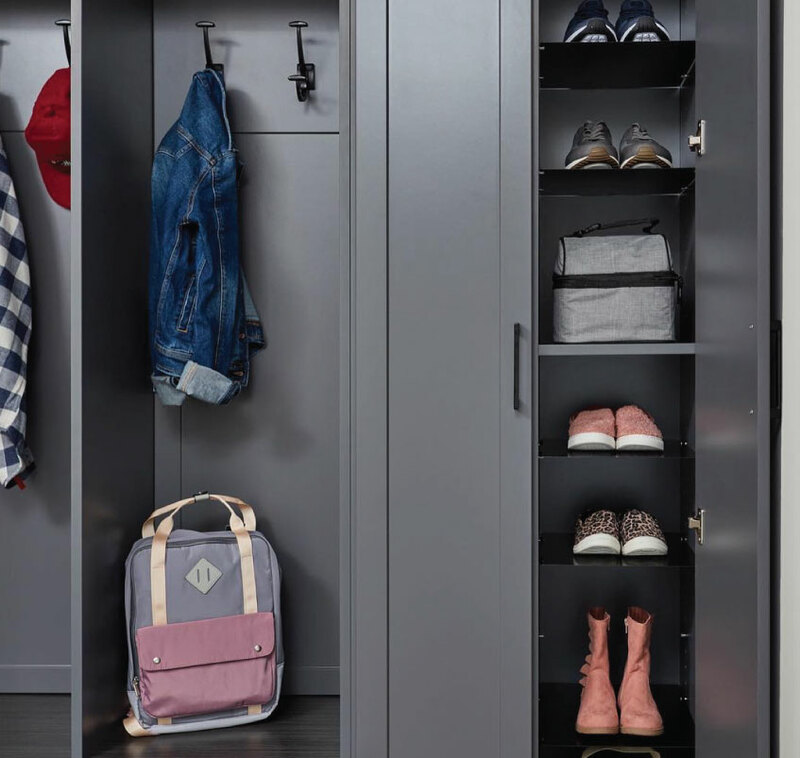 Emma Beaty created this highly functional and attractive storage unit with a few well-placed ELITE Coat Hooks and Double Hooks, finished with TAG Hardware’s ELITE Handles and Square Knobs. Even if you don’t have space for a bench or drawers, “sturdy wall hooks make a handy spot for guests to hang coats and bags (Houzz)” too. 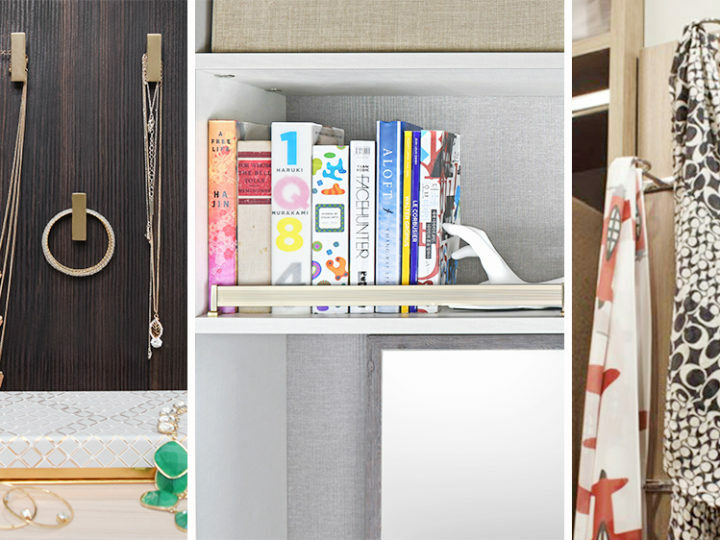 With a little more space, you can get even more creative and incorporate additional storage. This entryway features a wall-to-wall built in unit with designated space for large and small items. 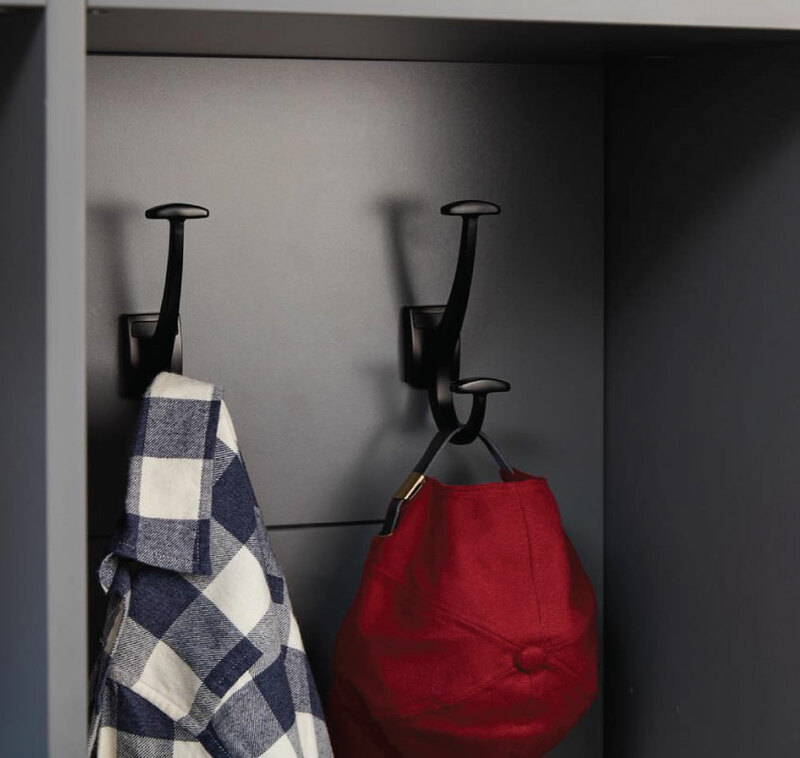 Two ELITE Coat Hooks per cubby provide hanging storage and our ELITE Modern Knobs serve as a place to hang keys. A creative application by Inspired Closets. This entryway storage is also finished with our classic ELITE Handles in Oil Rubbed Bronze. All these finishing accessories are available as a part of our Coordinated Hardware System in six different finishes, including our latest finish Slate. 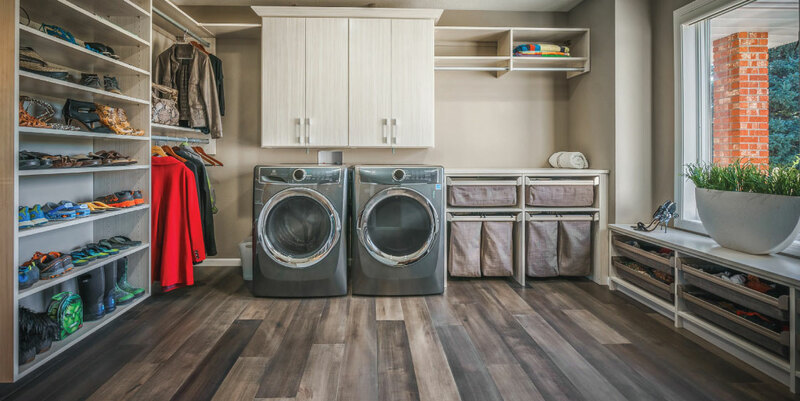 If you have a larger space available, consider a mudroom and laundry room combination like this one by Smart Spaces‘ Ursula Hegvik. 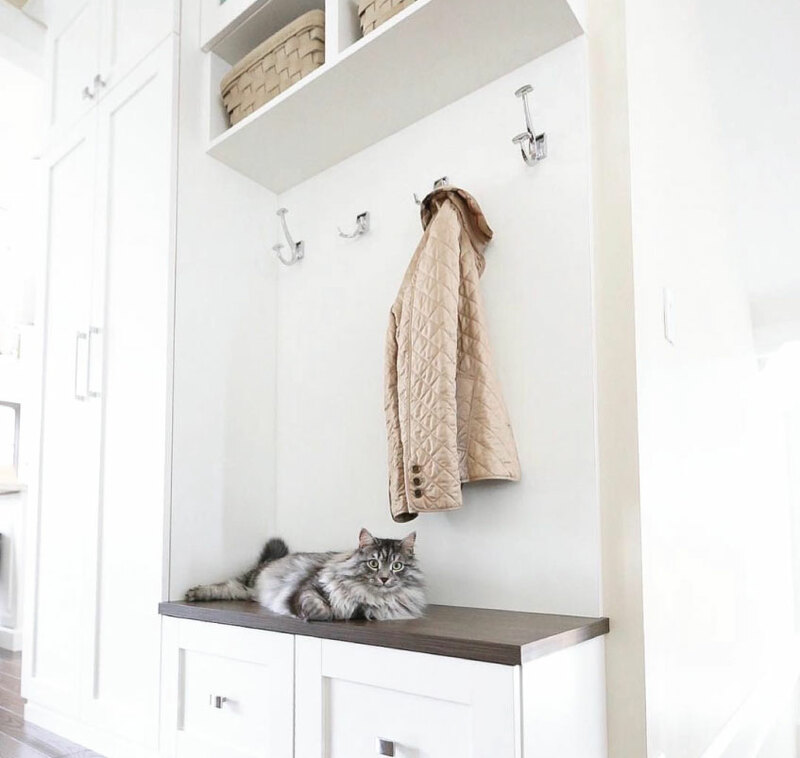 This space offers more than just a place to store shoes, hang coats, and do laundry. The area under the window provides a place to sit and incorporates multiple ENGAGE Lingerie Drawers for additional storage. 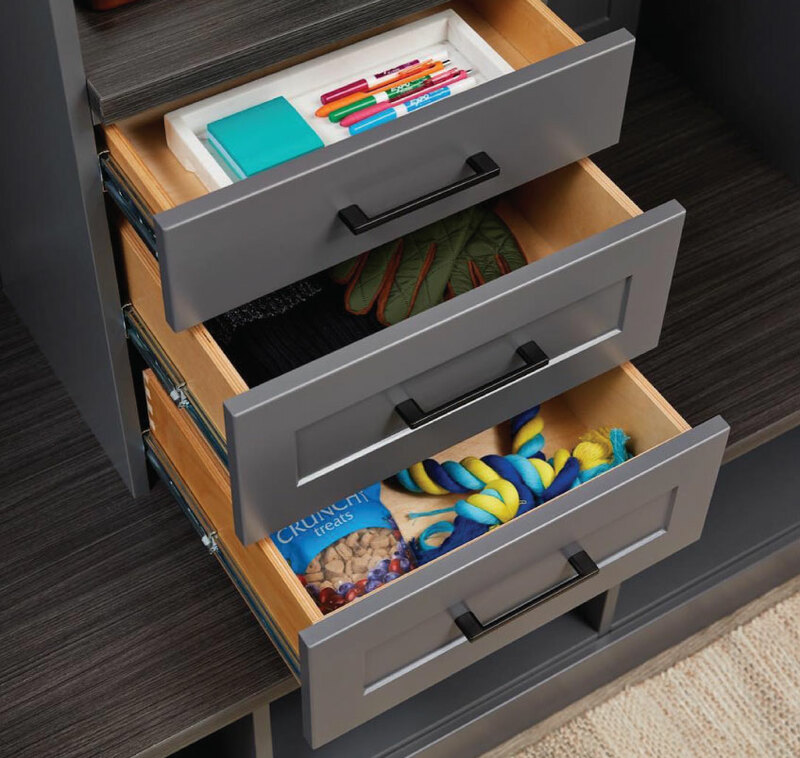 These drawers allow for designated compartments for scarves, socks, and other everyday items, and the dividers within the drawers provide further organization so you’re not having to dig through everything to find what you want. The laundry area is also equipped with ENGAGE products; the pull-out laundry hampers keep white, dark, and coloured clothing sorted before washing. The ENGAGE Divided Deep Drawers create a home for your freshly washed and folded clothing. 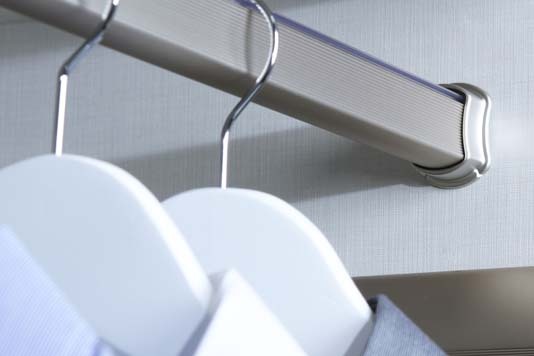 Lastly, a few ELITE Poles are incorporated above the folding counter to hang clothes to dry or after ironing. 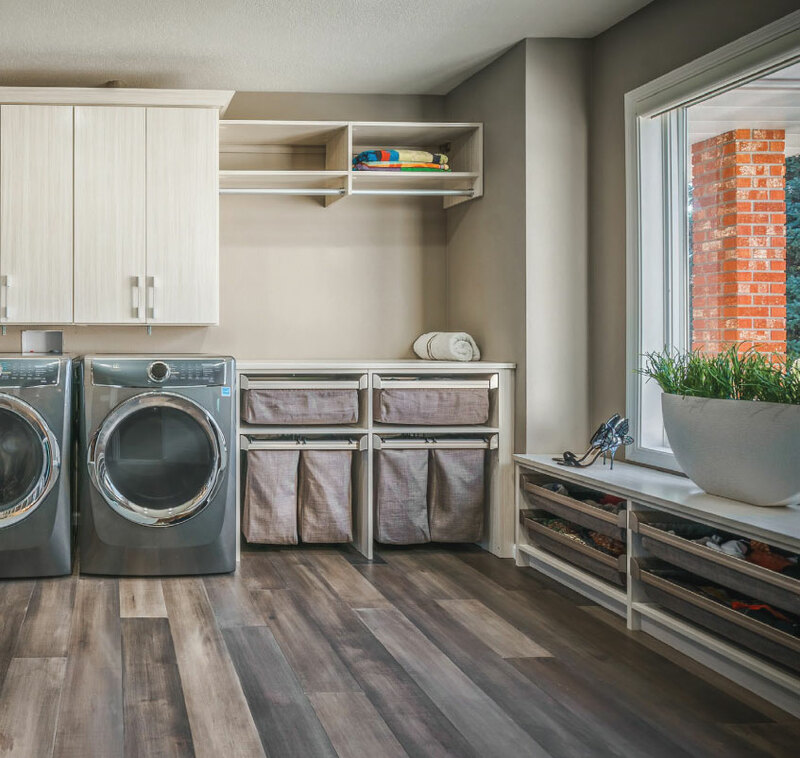 This multi-functional mudroom and laundry room truly is a smart space, taking full advantage of various storage opportunities. 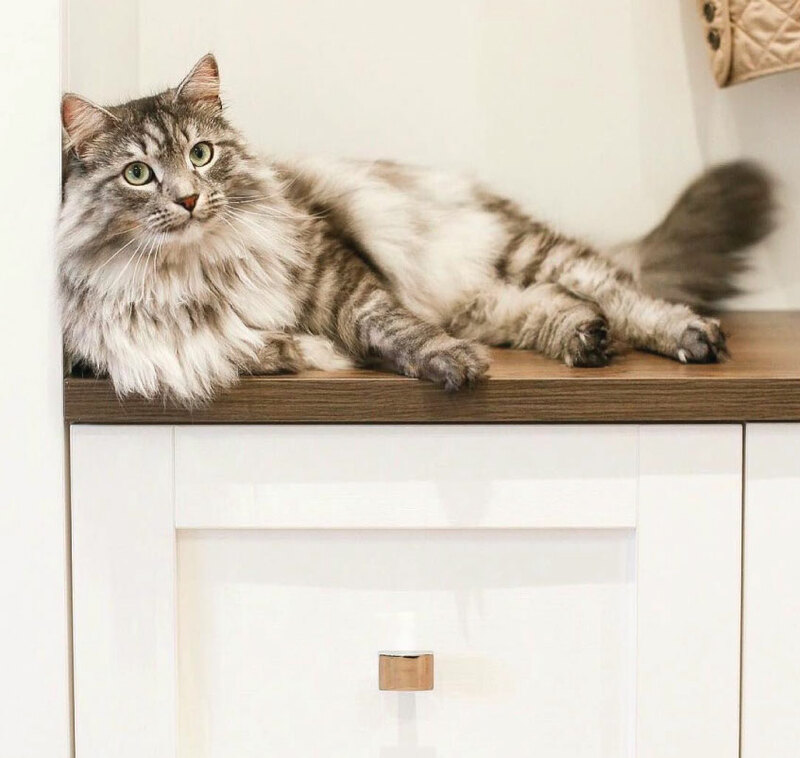 No surprise that this is what Ursula has used here in her own home, and we think it looks excellent. 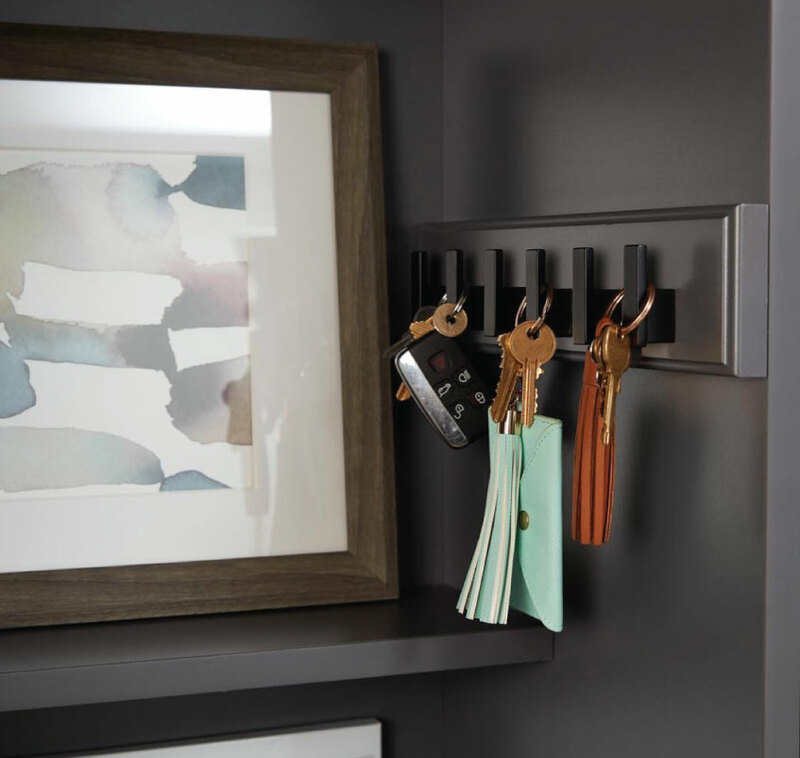 TAG Hardware products are versatile and can help you organize spaces outside closets too. 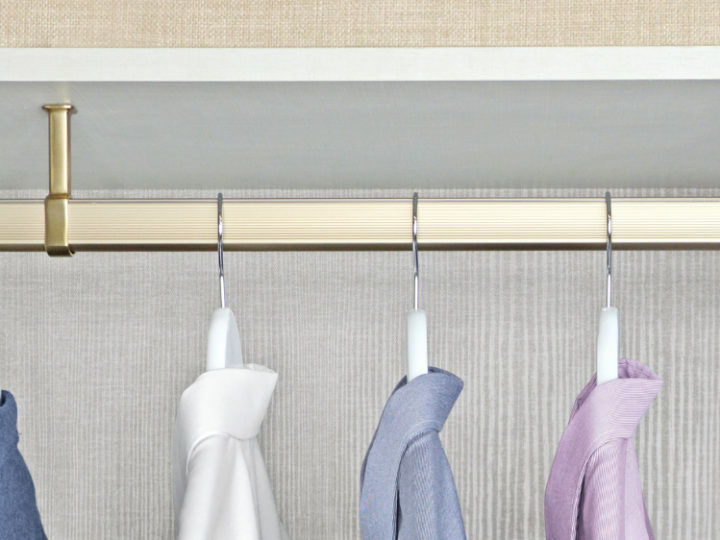 Incorporate Valet Pins or a pull-out Valet Rack for additional storage and slide them away when not in use. The ELITE Belt Rack is also ideal for hanging keys or other small items like dog leashes. Or cat leashes, if your cat will put up with that. 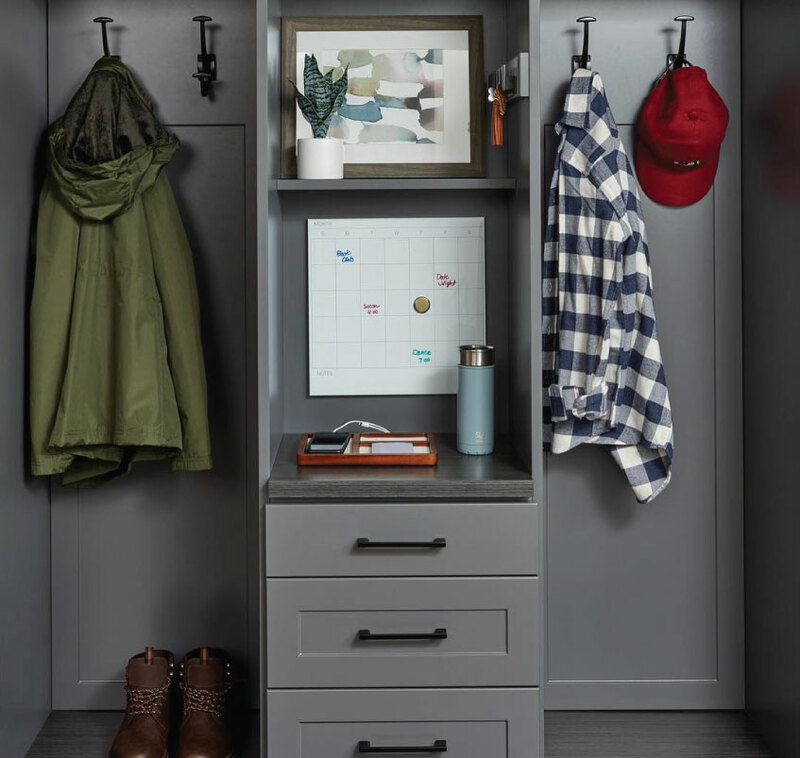 Designing an entryway or mudroom with TAG Hardware accessories is easy; it eliminates search for different products in the same finish. 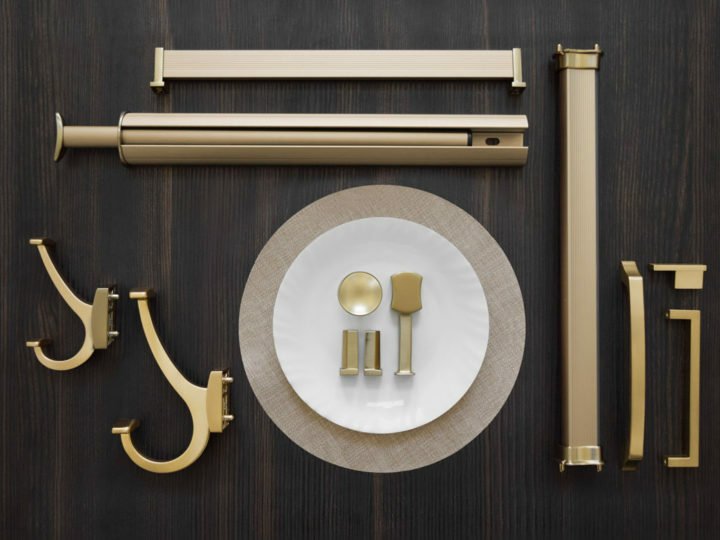 Our wide range of decorative hardware, hooks, racks and valets are available in Chrome, Matte Aluminum, Matte Nickel, Oil Rubbed Bronze, Matte Gold, and Slate; you can find all the pieces you need, and they’ll coordinate perfectly.